Capture treasured memories and photographs from a San Francisco Photo Tour with Doc Miles. 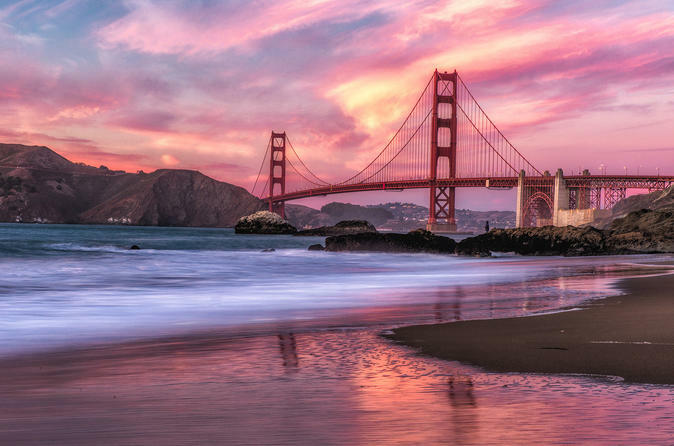 Sunrise and Sunset tours take photographers to locations that provide the best perspectives to capture amazing photographs of Bay Area icons and scenery. Locations along the tours take the photographer to places that are not on any tour bus, but provide extraordinary views of the city and its landmarks. Marin Headlands - Golden Gate Bridge - Slacker Hill, Hawk Hill & Battery Spencer. Marin Headlands - Golden Gate Bridge -Slacker Hill, Hawk Hill & Battery Spencer.